What better day to talk about the Heart than Valentine’s Day? More science is showing the benefit of starting early with habits that promote heart health. Treatments already available & scientifically proven are UNDERUTILIZED: would you think 20% was a good score?! No. But 80% of people eligible for cardiac rehab DON’T take part in this essential treatment / program. A NEW program to promote the established, effective heart treatment Cardiac Rehab. Heart month is a great time to bring attention to what we know about preventing heart disease as well as what opportunities are available for managing heart risk. A healthy lifestyle was defined as not smoking, a normal body mass index, physical activity ≥ 2.5 h/week, television viewing ≤ 7 h/week, diet in the top 40% of the Alternative Healthy Eating Index–2010, and 0.1 to 14.9 g/day of alcohol. Key to know with the Nurse’s Health Study findings is that Coronary Heart Disease (CHD) risk was lower for women without AND with heart disease risk factors – BOTH groups showed decreased events with more healthy lifestyle habits/behaviors. At OhioHealth we have launched a cardiac rehab program for women to help give every opportunity to succeed at SECONDARY prevention and prevent or slow disease progression. To improve the ‘ low test score of 20%’ participation in Cardiac Rehab the OhioHealth Women’s Heart and Vascular Program launched a program for cardiac rehab designed for women. Education and exercise in the company of other women with heart disease offers a new way to help women who have had a heart event (Chest Pain, Heart Attack, Coronary artery Stent, Heart Valve surgery, Coronary artery bypass surgery) and are starting on their SECONDARY prevention journey. 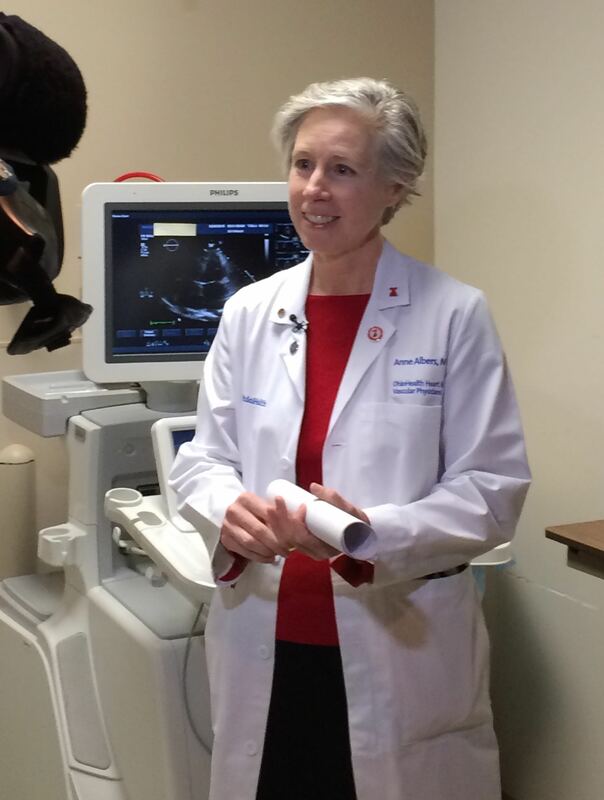 Read more about Cardiac Rehab here; 10TV News did a great story / coverage of the Women’s Cardiac Rehab program (click text to view story and video). This entry was posted in women and tagged Cardiac Rehab, heart disease, heart problems, heart risk, Lifestyle, Nutrition, women on February 14, 2015 by The HeartHealth Doctors.